Ricardo Baeza-Yates areas of expertise are information retrieval, web search and data mining, data science and algorithms. He is currently CTO of NTENT, a semantic search technology company based in California. He was VP of Research at Yahoo Labs, based in Sunnyvale, California, from August 2014 to February 2016. Before he founded and lead from 2006 to 2015 the Yahoo labs in Barcelona and Santiago de Chile. Between 2008 and 2012 he also oversaw the Haifa lab, and started the London lab in 2012. He is part time Professor at the Dept. of Information and Communication Technologies (DTIC) of the Universitat Pompeu Fabra (UPF), in Barcelona, Spain, as well as in the Dept. of Computing Science (DCC) of Universidad de Chile at Santiago. During 2005 he was an ICREA research professor at UPF. Until 2004 he was Professor and founding director of the Center for Web Research at Universidad de Chile. He obtained a Ph.D. in CS from the University of Waterloo, Canada, in 1989. Before he obtained two masters (M.Sc. CS & M.Eng. EE) and the electronics engineer degree from the University of Chile in Santiago. He is co-author of the best-seller Modern Information Retrieval textbook, published in 1999 by Addison-Wesley with a second enlarged edition in 2011, that won the ASIST 2012 Book of the Year award. He is also co-author of the 2nd edition of the Handbook of Algorithms and Data Structures, Addison-Wesley, 1991; and co-editor of Information Retrieval: Algorithms and Data Structures, Prentice-Hall, 1992, among more than 500 other publications. From 2002 to 2004 he was elected to the board of governors of the IEEE Computer Society and in 2012 he was elected for the ACM Council. He has received the Organization of American States award for young researchers in exact sciences (1993), the Graham Medal for innovation in computing given by the University of Waterloo to distinguished ex-alumni (2007), the CLEI Latin American distinction for contributions to CS in the region (2009), and the National Award of the Chilean Association of Engineers (2010), among other distinctions. 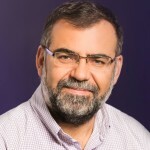 In 2003 he was the first computer scientist to be elected to the Chilean Academy of Sciences and since 2010 is a founding member of the Chilean Academy of Engineering. In 2009 he was named ACM Fellow and in 2011 IEEE Fellow. 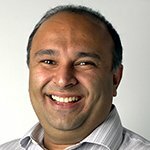 Rayid Ghani is the Director of the Center for Data Science and Public Policy, Chief Data Scientist at the Urban Center on Computation and Data, Research Director at the Computation Institute (a joint institute of Argonne National Laboratory and The University of Chicago), and a Senior Fellow at the Harris School of Public Policy at the University of Chicago. Rayid was the Chief Scientist at Obama for America 2012 campaign focusing on analytics, technology, and data. He is also the co-founded of Edgeflip, an analytics startup that grew out of this campaign focused on social media products for non-profits, advocacy groups, and charities. Rayid’s current research interests lie at the intersection of Machine Learning/Data Mining, Public Policy, and Social Sciences. He is interested in solving large-scale and high impact social problems using data driven and evidence based methods. A lot of government, civic, and non-profit organizations are realizing the value of better data and have been focusing on improving data collection and data standardization. My goal is to build on these efforts, and work with these organizations to use this data to help improve outcomes for them. Rayid is also interested in approaches that allow these organizations to efficiently measure the impact of such interventions and programs in order to do better resource allocation and focus on efforts that lead to better outcomes. 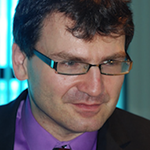 Linguist, professor at the University of Zagreb, Faculty of Humanities and Social Sciences, Department of Linguistics. He is the head of the Chair of Algebraic and Computational Linguistics at the same Department since 2001 and an associated member of the Croatian Academy of Sciences and Arts since 2008. He was also a member of the Standing Committee for the Humanities of the European Science Foundation (2009-2012) and a member of the National Council for the Humanities of the National Scientific Council of the Republic of Croatia (2004-2013). He published more than 70 papers and 5 books. His interests are in corpus linguistics, computational linguistics, language technologies and research infrastructures in (e-)humanities and social sciences. He is also coauthor of the Croatian Frequency Dictionary (1999). 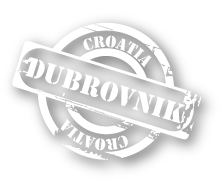 He is also the (co)author of important language resources for the Croatian language such as the Croatian National Corpus, Croatian Morphological Lexicon, Croatian Dependency Treebank and the Portal Language Technologies for Croatian Language. He was the leader of Croatian teams participating in several nationally funded projects as well as FP7 RI project CLARIN, FP7 project ACCURAT, ICT-PSP projects Let’sMT! 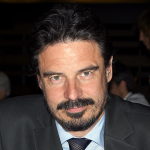 and CESAR, FP7 project XLike and now he is leading the European Social Fund project HR4EU. He is the president and one of the founders of the Croatian Language Technologies Society.